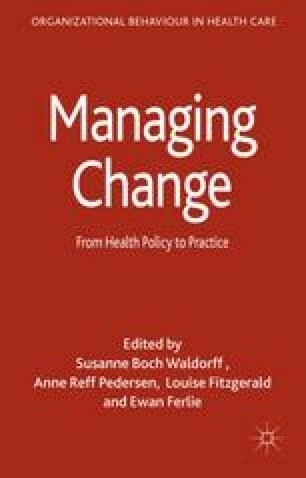 Since healthcare organizations often have significant problems with the recruitment and retention of staff (McKee et al., 2008), preventing sickness absence and improving return-to-work processes are highly relevant for hospitals in order to deliver adequate services and ensure the quality and quantity of healthcare (Boselie et al., 2003). A high turnover of employees increases costs (e.g. recruitment and training) and potentially decreases patient care. Turnover can seriously affect both patients and other employees through higher error rates and increased workloads. In this chapter, we examine the implementation of new legislation aimed at preventing sickness absence and solving obstacles towards the return to work for sick-listed employees. We selected three hospitals in the Netherlands to study how national legislation for sickness absence management is understood and enacted locally by the involved actors.